Congrats to Starbridge portfolio company Ubiquitilink! For those who haven’t yet read the recent WSJ and/or Techcrunch articles (first, second), Ubiquitilink launched and tested their basic connectivity on a Cygnus ISS resupply mission demonstrating basic SMS capabilities from orbit to an unmodified cell phone on the ground. The company is working with existing mobile networks so there is no need for Ubiquitilink to create its own mobile network or for the end customer to switch mobile providers. Ubiquitilink is developing a network of small "orbital cell phone towers" that can mimic any mobile network and can be accessed by completely normal, consumer-grade cell phones. Their network of smallsats will be large enough to bring connectivity to every human being on the planet. With their successful testing, Ubiquitilink is now moving forward into their manufacturing and deployment phase. If you are interested in working with Ubiquitilink, they’re looking for embedded software developers, RF/Electrical engineers, and operations and test engineers. 2018 was an exciting year for the space industry and Starbridge. SpaceX continues to disrupt the launch business and Blue Origin follows close behind. The Mars Opportunity rover fell silent after a dust storm, but two other spacecraft arrived at separate near earth asteroids and both will return samples. The last days of the year are book ended by not one but two historical missions: the landing of China’s Chang’e 4 spacecraft on the lunar far side and the extended mission flyby of Ultima Thule by NASA’s New Horizons. For us here at Starbridge, this was our inaugural year. This was the year that we signed on our first investors and made our initial investments. Our portfolio now includes companies such as Made In Space, Umbra Lab, Axiom Space, and a few companies still in stealth mode. We even added a few people to our core team who hold the same vision of generating great returns by investing in impactful companies and building influential relationships in the growing space industry. We are all excited about the prospects of 2019. The Moon will become a bit more crowded with China and India landing rovers on the Moon’s surface and the first private mission to the Moon by the Israeli company SpaceIL. NASA’s Commercial Crew program is performing both un-crewed and crewed test flights with Boeing and SpaceX. 2019 will be a particularly busy year for SpaceX with two scheduled Falcon Heavy flights, ‘hopper’ test flights of Starship related systems, and two Commercial Crew flights. We will most likely see both Blue Origin and Virgin Galactic flying people into space, at least three new smallsat launch vehicles doing their first test flights, and sadly, a few companies will be closing their doors. For Starbridge, we have significant plans for 2019. Our first Fund will officially close in the coming months and we will begin planning for Fund 2 later in the year. Our strategic relationships will begin to bear fruit in terms of tools and organizations to help rationalize the space industry’s financial infrastructure. We are particularly encouraged by the growing interest in in-space manufacturing and commercial LEO communications infrastructure. While economists expect some sort of economic slowdown in 2019, Starbridge believes the accelerating rate of development in the space industry will continue to make space a compelling investment. Regardless of the state of the larger economy, we always encourage companies to apply the same sound safety margins to their finances that they do to their engineering. We also encourage individual investors who are not already deeply embedded in the industry to find an advisor, whether it’s Starbridge or someone else, who can help them navigate and evaluate deals. We’re looking forward to many great things in 2019 as we help our investors and portfolio companies grow. Come join Starbridge and help build the future! Starbridge Venture Capital recently made an investment in space-based manufacturing company Made In Space (MIS). Through MIS’s combination of a strong management team and substantial market potential, they have established themselves as the leading developer of in-space manufacturing techniques including 3D printing, processing of unique materials in microgravity, and automated assembly of large structures - three essential technologies for space development and manufacturing. Over MIS’s eight years of existence, this is their first round of outside investment which will be used to advance their products to market. Astronaut Barry Wilmore with a 3D-printed ratchet aboard the International Space Station — the first part 3D printed in space. Image courtesy of NASA. 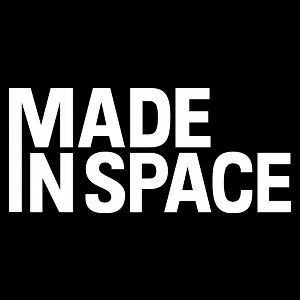 Made In Space was founded in 2010 by a team of experienced space experts and key 3D printing developers. The team has carefully grown the company over the past eight years by earning a combination of government and commercial research grants. MIS designed and built the first 3D printers for use on the International Space Station and the first commercial in-space fiber optic pulling device for creating nearly flawless ZBLAN-based fiber optics in zero-gravity. Made In Space is primarily concerned with how the unique traits of the space environment such as persistent microgravity and vacuum conditions can be harnessed to offer new commercial solutions. 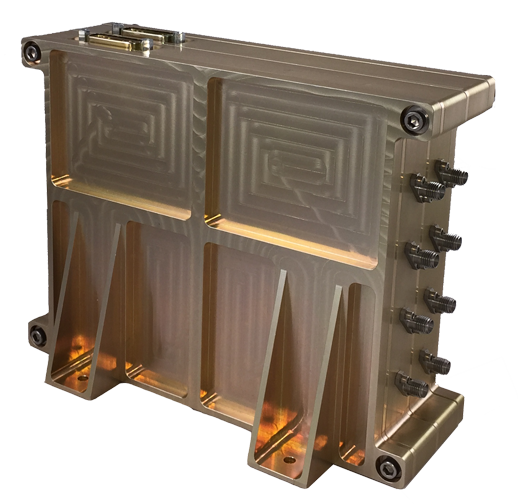 By manufacturing and assembling structures on orbit, rather than on the planet's surface, we unlock incredible design possibilities for extending the life of current on-orbit assets or entirely new structures. By pulling fiber in microgravity, we address one of the most critical barriers to perfect ZBLAN on the surface–gravity-caused crystallization. By setting up a prototyping platform on the ISS National Lab, we give researchers the ability to prototype tools and designs in the environment of space with short iteration cycles. Space has many unique properties that force us to think outside of the box. In many cases it is one of the most interdisciplinary technology sectors. That approach plus the inherent opportunities of space itself creates incredible new opportunities. MIS’s developmental work on ultra high quality ZBLAN fiber optics on the International Space Station (ISS) is ready to move into its next stage of production. Traction with customers, such as Corning and Thorlabs, as well as fast approaching theoretical limits of terrestrially produced fiber optics suggest an industry wide transition to space produced fiber optics for key long haul networks and other high value networks. Archinaut assembling an extremely large communications antenna. A key consideration for a venture capital fund is participation in future rounds and the scale of the company’s subsequent growth. MIS’s other lines of business: in-vacuum additive manufacturing, in-space spacecraft assembly/servicing, and assembly of extremely large structures, all have potential growth similar to the fiber optic business. We look forward to participating with MIS in their future growth! The success of every space development initiative is optimized when one company’s efforts enables others. Starbridge is excited to build upon those efforts by participating in Axiom Space’s most recent investment round. 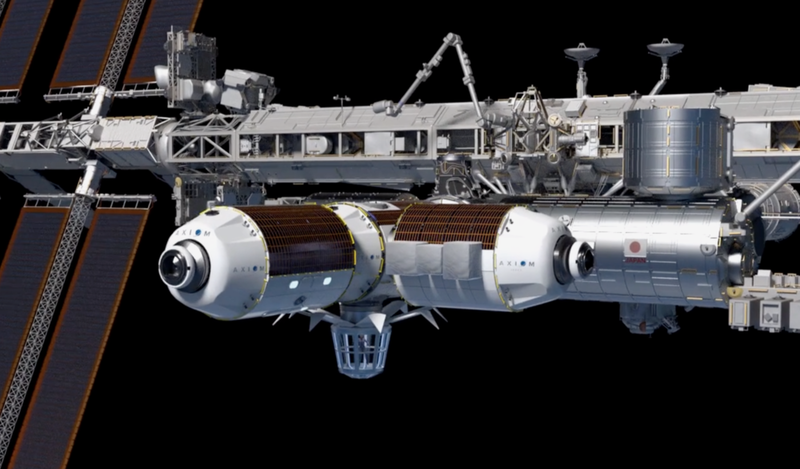 Axiom is building a commercial space station that will provide additional and expanded services to the International Space Station (ISS) and eventually be the basis of a transition to commercial human spaceflight when the ISS retires in 2025. Axiom’s engineers and staff have been at the forefront of operations of the ISS over the past 20 years and they are using that expertise to build and operate a commercial alternative to the ISS that will enhance and one day replace the ISS. Axiom’s first space station will be assembled while connected to an ISS port designated by NASA for private space modules. Depending on the status of arrangements with NASA and other customers, as a next milestone, Axiom will deploy its own power and heat management systems and then detach from ISS prior to ISS’s retirement. Axiom Space’s first three modules, including the Axiom Earth Observatory, attached to the International Space Station. Image courtesy Axiom Space. Today, the ISS is run through a partnership of countries that built it including the United States, Russia, the European Space Agency (ESA), Japan and Canada. In order to visit the ISS, you must be a guest of one of those countries; with limited slots available chances are slim. That means even ESA member states have a limited allocation of seats available to them. Axiom Space’s station operating independently Image courtesy Axiom Space. Axiom’s target customers include national space agencies, private individuals, researchers, space manufacturing companies, private and public space exploration missions, and advertising/media companies. Axiom fits our investment thesis as a commercial provider of infrastructure that supports the business models of many of our other current and future investments. Axiom is a vital part of the base layer of the “infrastructure” pyramid supporting sustained human space exploration and the colonization of the moon and Mars. As the ISS continues to age, its ability to support commercial development will continue to be reduced. 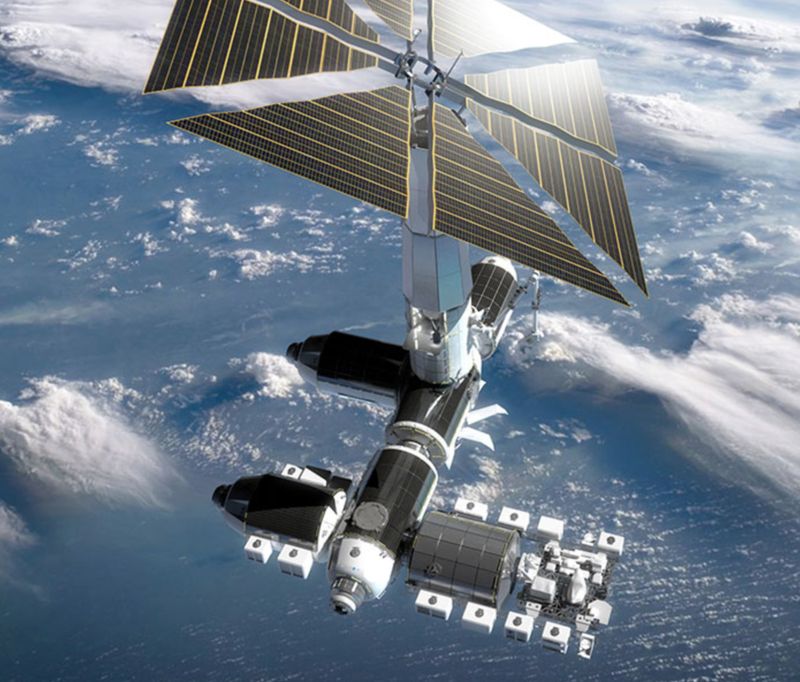 Axiom Station is a cornerstone of the future of human spaceflight. We look forward to the day when there are multiple commercial orbital platforms making money and providing unique and cutting-edge services to people on Earth. We see Axiom as a major player in this future market, satisfying the demand for human spaceflight on Earth, the demand for a microgravity research and manufacturing platform in proximity to Earth, and serving as a proving ground for missions to deeper space. than it is about serendipity." One of the challenges of being an angel investor is having enough diversification that the odds are high that one or two companies will “make your fund”. Except for carry, an angel investor is essentially a venture capital fund with one limited partner: you. You pay fees to lawyers, accountants, governments, restaurants, and airlines. You work with your portfolio companies to protect your investments. Those investments have the same risk profile depending on the stage and sector. And you want the same or better returns. But without significant diversification your risk is far higher. Whether it’s Kauffman Foundation or the Angel Capital Association, the evidence is in that angel investing only works if you diversify. So no matter how much you love the company that’s in front of you, make sure it is only one of at last 20 investments in your portfolio. The evidence has also proven that you need some knowledge of the sector you are investing in to avoid the hype and to understand market structure. All of that goes double for emerging industries such as space, blockchain, IoT, or AI. Add ‘investor’ to you profile on LinkedIn and within minutes your inbox will be filled with entrepreneurs pitching their latest crypto hedge fund or machine learning startup. Are some of them real? Sure. But how do you tell unless you know that industry inside and out? You can ask experts but is that really a well reasoned and disciplined investment thesis? How much of your ‘fees’ will you be spending trying to figure that out? If you are considering early stage technology companies as a part of your overall portfolio, you should consider doing it through a fund either alongside your targeted investments or as a co-investor with the fund. Whether it’s a local angel fund focused on a mix of local real estate and tech deals or a sector specific fund with world wide reach, you can’t beat the diversification and knowledge of a well run VC fund. If the minimums are too high talk to them anyway, many will help bundle you with other smaller investors into an SPV. We recently made an investment in the synthetic aperture radar (SAR) company Umbra Lab. This Santa Barbara startup is building a unique SAR constellation capable of quarter-meter resolution. The proposed 12 satellite constellation is capable of hourly revisit times at slightly lower resolutions. This investment is an example of our larger strategy to invest in the opportunities enabled by space, not just in space technologies. Companies like Umbra enable new capabilities for data analytics companies and applications that use the data Umbra is producing. We expect our portfolio companies, like Umbra, to significantly disrupt markets and industries on Earth by orders of magnitude. Umbra Lab’s spacecraft does not fit into today’s legacy aerospace or the new space mold for Earth observation platforms. In today's satellite imaging ecosystem, traditional satellites cost hundreds of millions of dollars, sacrificing high costs in exchange for high resolution (1 meter). Newer smallsat-based platforms sacrifice image resolution in exchange for much lower costs. Limited image resolution has been a key shortfall of small/cube satellites ability to disrupt legacy and terrestrial Earth imaging. Umbra refused to make that performance sacrifice. Their new imaging capability offers a significant improvement over the best legacy sensor with recurring costs in the single digit millions. We believe .25 x .25 meter imagery is not only disruptive to both SAR and optical satellites but likely the terrestrial drone industry as well. Their 1200+ MHz radar electronics and refusal to pursue analytics as part of their business model has garnered tremendous customer support and led to last year's oversubscribed round. 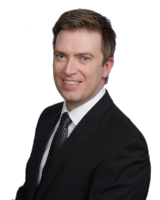 David Langan, the co-founder and CEO of Umbra Lab, has over a decade supporting advanced space systems and is a space-based radar subject matter expert. David is one of the most diligent founders we have come across. 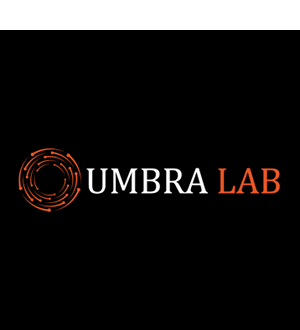 Our co-investors in Umbra include: Crosscut Ventures, Hemisphere Ventures, Wilderness Ventures, Champion Hill Labs and a future Umbra Lab customer. Two events this week illustrate just how global the space technology sector is. Boeing's venture arm, HorizonX, participated in a $15M round in Myriota and the Japanese government announced a 100 billion yen ($940M) fund for space startups. The $15 million round in Myriota was led by Australian venture capital firms Blue Sky and Main Sequence, with Boeing HorizonX Ventures, Singapore-based Singtel Innov8 and Right Click Capital joining the fundraising. This is HorizonX's first investment outside the US. Myriota is a product of the $12 million Australian Space Research Program. The Japanese space fund developed quickly after iSpace raised a $90M Series A at the end of last year. iSpace is teaming with a former Google Lunar Xprize competitor TeamIndus on lunar exploration technologies. The ties between funding sources, Governments with national economic development interests, and regional market needs mean that space technologies are not limited by national boundaries. Global deal visibility is critical. Traditional technology investors cannot rely on their existing domestic networks to discover the next deal. For further details on the members and their backgrounds see our Advisory Team page. Steven Jorgenson, founder and Partner with Starbridge Venture Capital, will be speaking at the "Emerging Space- Is there a Path to Profitability?" panel at the Satellite 2018 conference in Washington, D.C. on Monday, March 12, 2018 from 1:45 PM – 2:45 PM. Steven and panel members Rob Coneybeer (Shasta Ventures) and Jeanette Quinlan (Starburst Aerospace Accelerator) will be discussing whether emerging space businesses, with the more than $10 B invested since 2000, is a profitable business? The panel synopsis suggests "The answer lies somewhere between the pitfalls of hype and the hopes of stellar returns…within a reasonable ‘exit’ window. In reality, investment and business prospects facing these companies are far from clear, and many investors now ask the burning question: where is my profit? This hard-hitting session will focus in on the business case for emerging space, and if big investment means big returns."